Chicago Dog Bite Injury lawyer – Have You Been Bitten By a Dog? If you or a loved one has been injured by a dog bite in Chicago, here’s how to know if you need an attorney. Unfortunately, dog bites are fairly common occurrences in Chicago, and sometimes, the injuries can be serious enough to require lifelong care. Are You in Need of a Dog Bite Injury Lawyer in Chicago? If You Are the Victim of a Dog Bite in Chicago, What Are Your Rights? Are Chicago Dog Bite Owners Protected By Laws? Why Should I Consider A Chicago Dog Bite Attorney? What If the Dog Owner Isn’t Insured? In 2015, a UPS driver was delivering a passage to a familiar address, but when he heard a dog barking inside, he asked the owner to keep the door closed, instead, the dog escaped the home and attacked the driver, who lost part of his ear, suffered scarring from head to toe and watched part of his left thumb fall to the ground, severed by the dog’s teeth. He underwent a four-hour surgery in order to reattach his thumb to keep his right hand intact, and likely required long-term therapy to regain full use of his severed thumb. The same year the UPS driver lost his thumb, a 5-year-old Chicago boy lost his life when he was attacked and killed by a pit bull that belonged to his mother’s cousin. The incident initially began in the cousin’s home, but the boy’s mother dragged her son and the dog out of the house, where neighbors called 911 after seeing the dog biting the boy’s neck, and then sprang into action, using any available tools as weapons until they were able to kill the dog. Ultimately, however, while the owner was cited for not having up-to-date rabies vaccination records, no charges were filed against the dog’s owner. That can’t make the victims of dog bites feel more secure about the safety of their streets. If you were bitten by a dog in Chicago and suffered severe injuries then you may be entitled to compensation for your injuries under Illinois law. Illinois does have legislation in place protecting the victims of dog bites, and in most cases the dog’s owner is liable for any injuries. As long as you and your legal team are able to prove liability. The dog has a record. If a dog has previously bitten another person or acted in a vicious, aggressive manner with another person and the owner was aware of it, the owner would be liable. The dog was off its leash. There are leash laws in Chicago, and if a dog bites someone while off leash and off their own property, the animal will be in violation of the law, and would also be liable. The owner failed to protect guests. If the dog bites the cable guy or a guest at a party after the owner promised to keep guests protected from the dog, the owner would be found negligent, and liable for the dog bite injuries. The dog is too exuberant. Sometimes, dogs can be so excited to see someone that they jump up to greet them. The potential for injuries arises if the person falls, and if injuries occur, in the majority of cases, the owner would be held liable. Yes, there are provisions in place protecting the dog owner in certain cases – such as when a person is bitten while provoking a dog. This can also include something as simple as accidentally stepping on the dog’s foot. The owner would not be liable for injuries. Another case where an owner may not be held liable is when the dob bite victim was trespassing. Under state law, the dog must be quarantined for 10 days for observation to ensure that they do not have rabies. If rabies shots are up to date, that quarantine can take place at home, although an examination by a veterinarian will be required to determine whether the dog is fit for release or should instead be euthanized. Because the legal issues involved with dog bite cases are complicated, having a Chicago-area attorney familiar with local laws can helo. The local dog bite attorney will be able to handle the paperwork required to file a claim, either with the dog owner’s homeowners or renters’ insurance, while you tend to your own personal recovery. An attorney will also a do follow-up with city officials to determine what citations the dog owner might have received and can interview potential witnesses to help solidify your case. While most people’s immediate thoughts turn to the initial costs associated with a dog bites, the first hospital bills may not be the only expenses you incur due to the bite. You may also suffer from scarring that could require future surgeries to repair. And that’s just what’s visible on the outside. You may also find that future dog encounters cause you emotional distress, leading to symptoms of post-traumatic stress disorder that could require therapy, medication or both. An attorney will help you find the right experts to help determine your levels of pain and suffering so you can best tell your story, not only in meetings with insurance companies but in court if the case goes to trial. If, as in the case of the 5-year-old Chicago boy who was killed in 2015 after a dog attack, survivors in the victim’s immediately family can also file suit for loss of life. While it may seem hopeless that you’ll ever receive adequate compensation for injuries sustained when bitten by a dog whose owner has no insurance – especially if there is no initial offer to pay for medical expenses – there are attorneys available in Chicago who can help you get the best compensation you can to cover not only those initial medical bills, but also future bills for therapy, plastic surgery to repair debilitating scars and pain and suffering. A dog bite lawyer in Chicago can help you recover the compensation from injuries you deserve. Get in touch with our team today to learn how we can help. 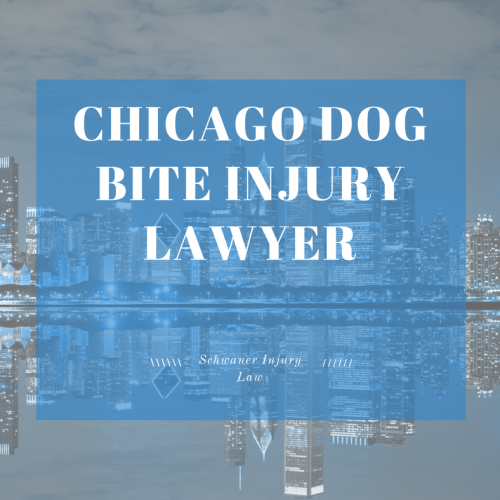 https://schwanerinjury.com/wp-content/uploads/2017/05/chicago-dog-injury-lawyer-1.png 788 940 admin https://schwanerinjury.com/wp-content/uploads/2016/04/Logo-837x321.png admin2017-06-08 17:29:242019-01-26 10:34:30Chicago Dog Bite Injury lawyer - Have You Been Bitten By a Dog? 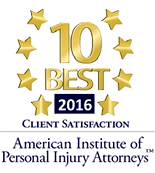 Chicago Personal Injury Lawyer Guide Chicago Birth Injury Guide – Did My Child Suffer a Birth Injury?